MUMBAI: Former Chief Investigating Officer Amitabh Thakur has accused BJP National President Amit Shah and other four officials for gaining financial and political gains in the fake Sohrabuddin encounter in 2005. Thakur was the officer in the fake encounter case and he had led the team that interrogated Amit Shah while he was in judicial custody. 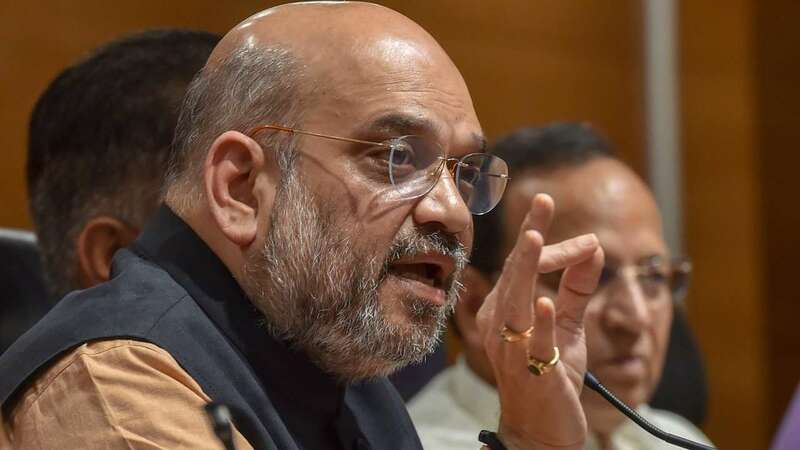 Thakur told the Special CBI court on Monday that Amit Shah allegedly got benefitted, as he was paid Rs.70 lakh in three installments by the Patel brothers. The brothers were threatened for their lives in an attempt to extort money by Sohrabuddin Sheikh and Tulsiram Prajapati. DG Vanzara was also benefitted, as he was paid Rs.60 lakh, for carrying out the fake encounter. However, Amitabh Thakur was also asked by the court if there were any inquiries against him, for misconduct, bribery, threat, and fabrication of evidence, but he denied all such charges. He also denied being asked by the CBI Director of that time, Ashwini Kumar, to implicate all the accused in the case. In the Special CBI court, on Monday, Sohrabuddin’s brother and complainant Rubabuddin Sheikh was also present who provided some facts about the 2005 encounter, before CBI Judge SJ Sharma presiding over the trial for the alleged fake encounter of his brother Sohrabuddin, Sohrabuddin’s wife Kausar Bi and his aide Tulsiram Prajapati. In the statement given by Rubabuddin, he told that on November 16, 2005, Kausar Bi went to Indore from her matrimonial village home in Jhirniya, MP, along with her husband Sohrabuddin and his brother Nijamuddin. From there, they went to Hyderabad to visit their cousin Kalamuddin for Eid. Sohrabuddin’s close aide Tulsiram Prajapati was also with them. After that, on November 22, 2005, Rubabuddin called his youngest brother Nijamuddin for enquiring about Sohrabuddin and his sister-in-law Kausar Bi. Nijamuddin told him they were in Sangli, but, the next day Rubabuddin called him and told him that all he could hear was the wind. On the day of November 25, 2005, the phone was not reachable and then on November 26, Rubabuddin went to Naroda junction and his brother Shahnawazuddin called him and said: “I have heard in the news that Sohrabuddin was killed in a fake encounter, so go to Ahmedabad to take the body”. Rubabuddin further told the court that CBI had wiped off the fact that Kausar Bi (Sohrabuddin’s wife) was pregnant at the time of her death and CID of Gujarat also denied this fact. He also revealed that Tulsiram Prajapati had called him from Udaipur Jail and told him that the police killed his brother Sohrabuddin in front of him. Tulsiram was the eyewitness. When Rubabuddin asked Tulsiram that why he wasn’t killed along with his brother, Tulsiram had said that because he was a Hindu. Meanwhile, the accusations made by Officer Amitabh Thakur were lacking crucial evidence needed for strengthening what he said in the court against Amit Shah and other officials involved in the fake encounter case. But this huge accusation on the leader of the ruling party of the country is a strong blow to the government and also a bit worrisome for PM Narendra Modi.